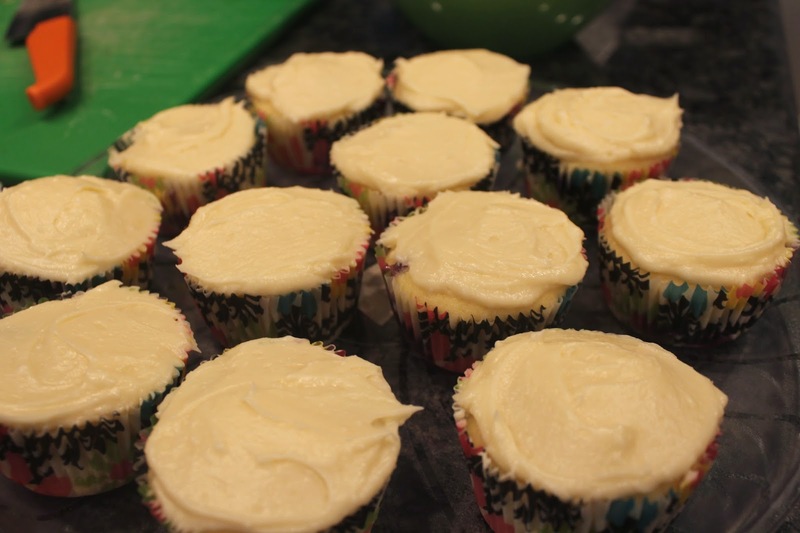 As you probably have deduced, I love to bake cupcakes. Anytime a friend is hosting a party I offer to bake cupcakes. I'm not sure where my obsession stems from. I just love to bake! So for the KISSING FROGS book brunch with my girlfriends, I wanted to do a breakfast cupcake. At first I thought about just scrapping the fact that it was a brunch and do a red velvet, because who doesn't love red velvet? It's delicious and special. But brunch was the focus so it just didn't seem the right fit. So I thought about pancakes. How could I take the idea of pancakes and put it into a cupcake tin? Blueberry pancakes + maple syrup = Lemon-Blueberry Cupcakes with Maple Frosting. Duh. So I took my recipe for Lemon-Blueberry Muffins (sidenote: what is the difference between a cupcake and muffin, because I'm unclear) and added on a little frosting. As usual, use a little more or less of the sugar and maple syrup to get the consistency you want. I went with a slightly thinner frosting than usual because it was brunch and I didn't want to overwhelm the ladies with sugar. But see? 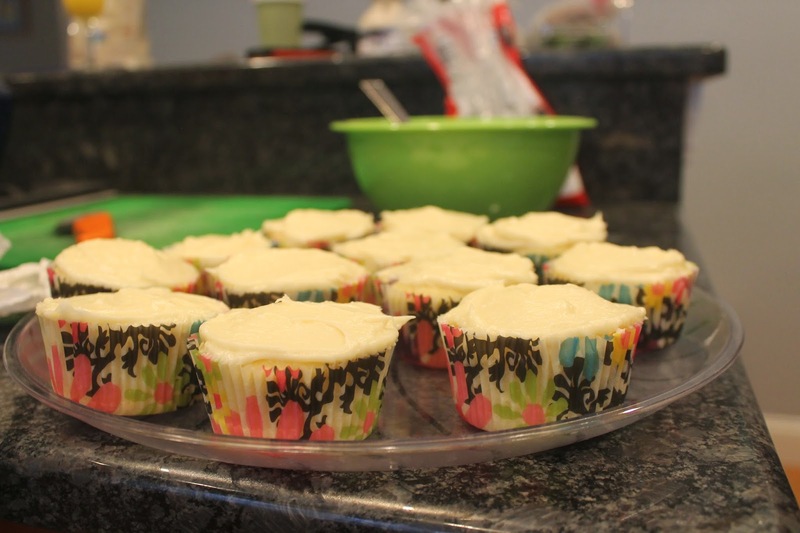 You can have cupcakes for breakfast!